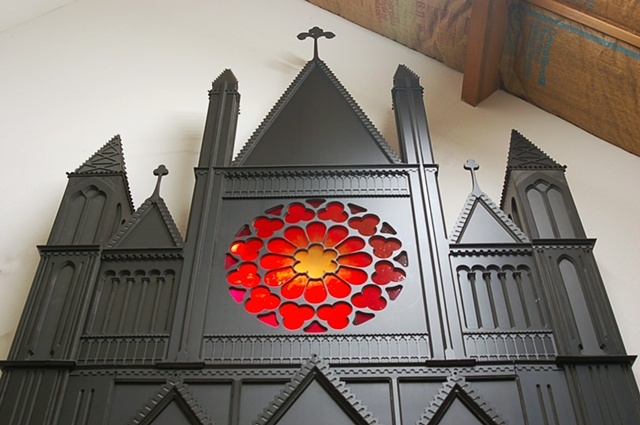 This petroleum based cathedral façade depicts the combination of oil and religion. This church is a conglomeration of European and American Cathedrals; it investigates the use of religion in politics. The spires and squirting crosses alludes to the content.